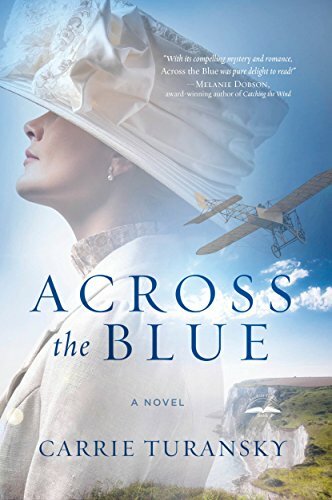 Book Review - Across the Blue by Carrie Turansky + Giveaway! Isabella Grayson is the oldest daughter of a wealthy, English newspaper mogul who wishes to be like her father. Her parents believe that Isabella shows focus on marriage prospects than following her dreams of becoming a journalist. Ever persistent, she pens an anonymous letter to her father's newspaper that impresses her father and fuels her dreams of writing. Her father reluctantly agrees that she can write a series of article on aviation, but on the condition she must accept a marriage proposal within the year. When the aspiring aviator, James Drake crashes his plane near the family's home, Isabella is smitten. She wants James to fulfill his dream of being the first to fly across the Channel and win prize. However, the closer the pair works together they discover they both have a dark secret. Will the duo be able to forgive each other and find happiness together? Will James succeed in being the first to fly over the Channel? The Edwardian novel was an interesting and fun read. I love how the author wove in the mystery of Drake's father along with his desire to fly. My favorite parts were the family dynamics of the Professor and James. 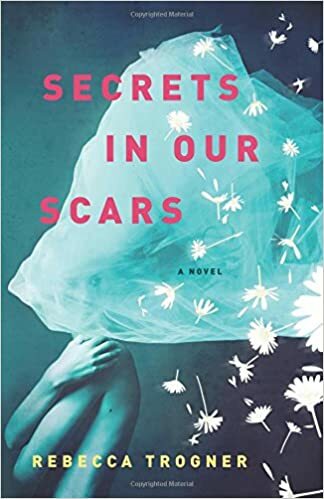 I think the author did a great job showing how family can both be people who are blood related or people who become family through a common desire. I thought the romance dynamic between Isabella and James was endearing and not annoying and back and forth like it sometimes happens in other romance novels. They both know they let each other down, but they worked together to put the past behind them and work towards a future together. A great read and I can't wait to read other works by the author. Purchase a copy of the novel at Amazon! Just like every other part of our body, sometimes our hair needs a bit deep cleansing as well. This low lather shampoo doesn’t strip moisture or color from dyed hair, which makes this the perfect once a week treatment for colored hair. The gentle shampoo has a blend of white freesia, golden amber and warm musk to make washing my hair less a chore more like a treat. The sulfate and sodium chloride free shampoo left my hair feeling soft and free of buildup. The sheer lip balm is enriched with Shea butter, broccoli seed oil, Rosehip seed oil and black currant seed oil. It goes on smoothly and left feeling luxuriously soft. However, I am a bit disappointed that the lip butter doesn't impart any color which makes this just a very expensive lip balm. Words can have different meanings and invoke different feelings. Hope can bring out different feelings depending when it was and by whom. This timely, relevant anthology of essays by twenty four YA authors hope to invoke awe, inspiration and empathy. In this personal collection of stories, each author narrates how hope is a decision they made and help inspire readers to have hope. When I first opened the book, I wasn't sure what to expect. I assumed it was going to be a bunch of boring or mundane stories. I was actually pleasantly surprised and found myself staying up late and reaching for this book throughout the day. I love the stories where the author opened about their personal lives and the obstacles they faced. They displayed how they had the perseverance and conquered their obstacles and how they enriched their lives with hope. I found many of the stories inspiring, hopeful, and enjoyable to read. I feel with the current political atmosphere, this book is highly relevant for readers who need a bit of hope in their lives. 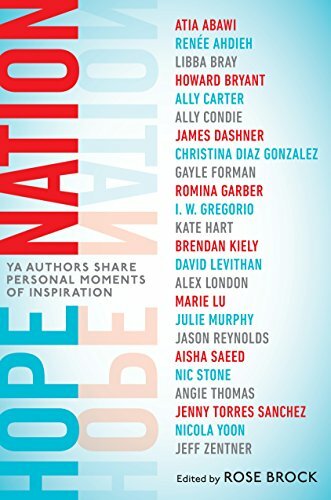 Some of today's most influential young adult authors come together in this highly personal nonfiction collection of original essays, poems, and letters, each a first-hand account that ultimately strives to inspire hope. Dr. Rose Brock is a twenty-year veteran professor who has dedicated her career to turning teens into book lovers. Building relationships with readers through books is her superpower. In addition to her career as a librarian and educator, Dr. Brock is also very involved in helping to organize the North Texas Teen Book Festival, a one-day event, which hosts sixty authors and has an impressive annual attendance of over 3,500 teens and tweens. She also serves as a team leader of the International Literacy Association's Young Adults' Choices project, which empowers teens to read and select the best books of the year. Dr. Brock was named by the Texas Library Association as the recipient of the Siddie Joe Johnson Award, an award given by the Children's Round Table to a librarian who demonstrates outstanding library service to children.